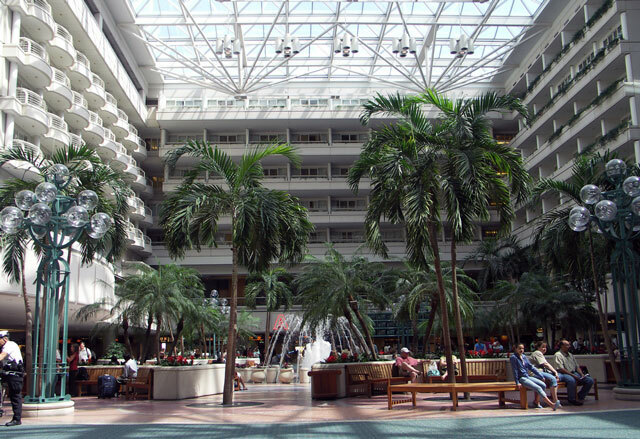 Thousands of travelers come and go from Orlando International Airport (OIA – coded as MCO when booking flights). When I first moved to Orlando, it was a small airport with one terminal and less than a dozen airlines servicing it. It now has two terminals (an “A” side and a “B” side) and 30 various airlines flying in and out nearly every day. In my opinion, it is one of the most beautiful airports, however, it can be a little tricky to navigate. Whether you’re coming or going, hopefully, these Orlando International Airport tips will improve your experience at OIA. First and foremost, know which terminal you are arriving in or departing from. The “A” side is on the northern side of the airport and the “B” side to the south. Everything you do is determined by which of these two terminals you are flying; where you should park, check-in, claim baggage, etc. This is based upon the airline you are utilizing. Knowing your terminal is one of the most important Orlando International Airport tips you need to know. Secondly, pay attention to where you are parking (if you are not in a rental car). The outer lots (Blue and Red) offer a shuttle to the terminals. This is the most affordable on-site airport parking at about $10/day. You’ll need to tell your shuttle driver if you are “A” or “B.” When you return, you’ll need to remember if you are parked in the blue lot, or red lot (usually open seasonally). The blue lot (now being called OIA Park Place) is near the front or north side of the airport, while the red lot (now being called OIA South Park) is on the back or south side. If you are parking in the terminal parking garage ($15-$25/day), remember which level you are on. OIA has placed some very cool sculptures/art to help you remember – birds on the top garage levels, including wading birds, owls, flamingos, etc. and mammals and reptiles on the lower levels including alligators, bears, frogs, panthers, etc. Don’t be surprised if your kids remember which level you parked on before you do. They look at the cool stuff like that! Other parking options include valet parking at the Hyatt Regency Hotel, cell phone lot parking (free) if you are picking someone up and several off-site parking businesses near the airport for less than $10/day. Now that you know this important Orlando International Airport tip, parking will go smoothly and the cost won’t surprise you. Transportation options include buses and resort transportation, as well as taxi, limousine and off-site shuttles. Be sure to ask your hotel if they provide free transportation to/from the airport. On-site rental cars include (subject to change) Advantage, Alamo, Avis, Budget, Dollar, Enterprise, Hertz, National, Thrifty, Payless and a few others. Other rental options are just off the airport property and provide shuttle service to/from the airport. Once you are inside your terminal and have your baggage checked, you’ll enter a common area. All kinds of services, restaurants and shopping are available here. 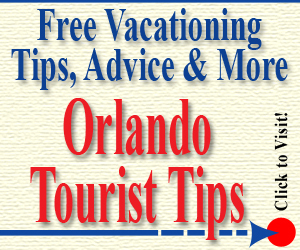 Our Orlando International Airport tip is to allow yourself time to peruse the shops. Many OIA shops have unique Orlando souvenirs and great gifts! Once again, pay attention to “A” and “B.” I’ve seen numerous people arrive on the “A” side and end up at “B” baggage claim wondering why their flight’s luggage isn’t there. I’ve also witnessed people leaving from the “A” side looking for their departing gate on the “B” side. Gates 1-29 and 100-129 are on the “A” side and gates 30-99 are on the “B” side (at the time of this page update). The common area is usually to blame for misguided passengers. However, it is a great place to meet your friends or family. If you need a common meeting spot when arriving or after shopping, use the fountain outside the Hyatt Regency Hotel as your meeting point. It’s easy to find someone there. When you head out of the common area and have made it through the security checkpoint, you’ll board a tram to your gate. There are four tram areas, so make sure you are on the correct one leading to your departing gate. When arriving at OIA, you’ll leave your gate and head to baggage claim by boarding a tram. Kids find this tram ride a fun experience (the first of many rides at an Orlando vacation?) as it glides over ponds and tropical landscaping with windows they can easily view out from. Orlando International Airport Tips: Hold on tight and be sure to look for alligators! 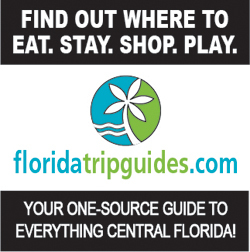 While there are plenty of shopping and eating options in the common area (including a Macaroni Grill, Harley Davidson, Ron Jon’s Surf Shop, Crocs and more), each of the 4 gate areas offer plenty of shopping/dining too. The restaurants include many fast food opportunities as well as nicer sit-down type restaurants, such as On the Border Mexican Grill Cantina, Outback Steakhouse and Ruby Tuesday. Some of the nicer retail shops include Sunglass Hut, Gem Collection and others. So just because you’ve gone through the common area, or have left the gate coming in, don’t think you’ve missed your chance to spend money! OIA offers plenty of choices, and like most airports, the prices are a little higher than just down the road. 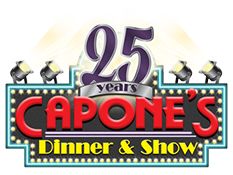 Orlando International Airport Tips: Capone’s Dinner & Show offers some fun souvenirs in their gift shop. Speaking of down the road, the roads leading in and out are another area where you’ll want to pay attention. 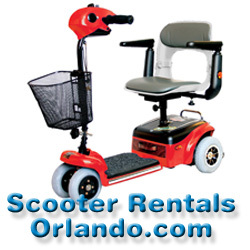 An extremely important Orlando International Airport tips is to drive the speed limit while on airport property! Although it isn’t always monitored, OPD has been known to welcome our visitors with some very hefty expenses right off the bat. Knowing where you are going makes it easier to speed through the airport (I admit to this and have been lucky not to get ticketed), but you’ll be better off going the speed limit and paying attention to the signage. This is where having a co-pilot to read the signs and help navigate is a really good idea. Don’t worry if you miss your exit road the first time, just stay on the road which circles around the airport and exit next time. If you will be heading towards the downtown area, the Space Center or the beaches, look for the north exit. Then quickly look for toll road 528 (aka Beach Line). You’ll want to take it east to the Space Center and beaches, or west for downtown Orlando. You may also stay on S.R. 436 (the north exit road) to get to the downtown area by traveling on it for a few miles, then jogging west on a number of roads. Bring your GPS, program your car’s navigation system, or turn on your cell phone driving app before you leave airport parking. However, trust your instincts and follow the signs to get off the airport’s property. Whether arriving or departing, get to the airport early. Not just so you’ll have proper time to board or wait for travelers, arrive early so you can experience what a beautiful facility this is. While OIA can be a little confusing compared to other airports, it is not too bad once you follow these Orlando International Airport tips and know what to expect. It is one of our nation’s busiest airports, with many international passengers, and a very good ‘first impression’ of Orlando for many visitors. 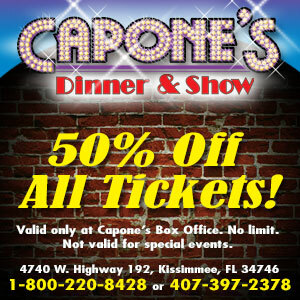 Purchase Half Price Dinner Show Tickets!